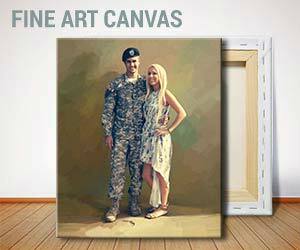 Our professional artists create personalized military paintings from photographs into distinctive masterpiece to honor and recognize our courageous women and men of service. 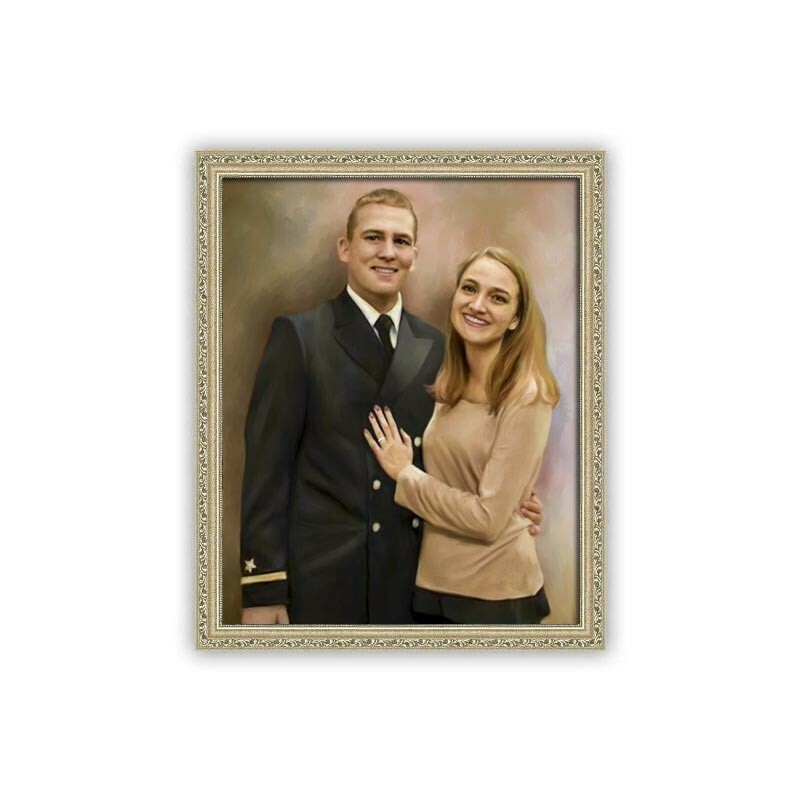 Handcrafted and shipped from the U.S.A.
By buying this product you can collect up to 74 loyalty points. Your cart will total 74 points that can be converted into a voucher of $15. 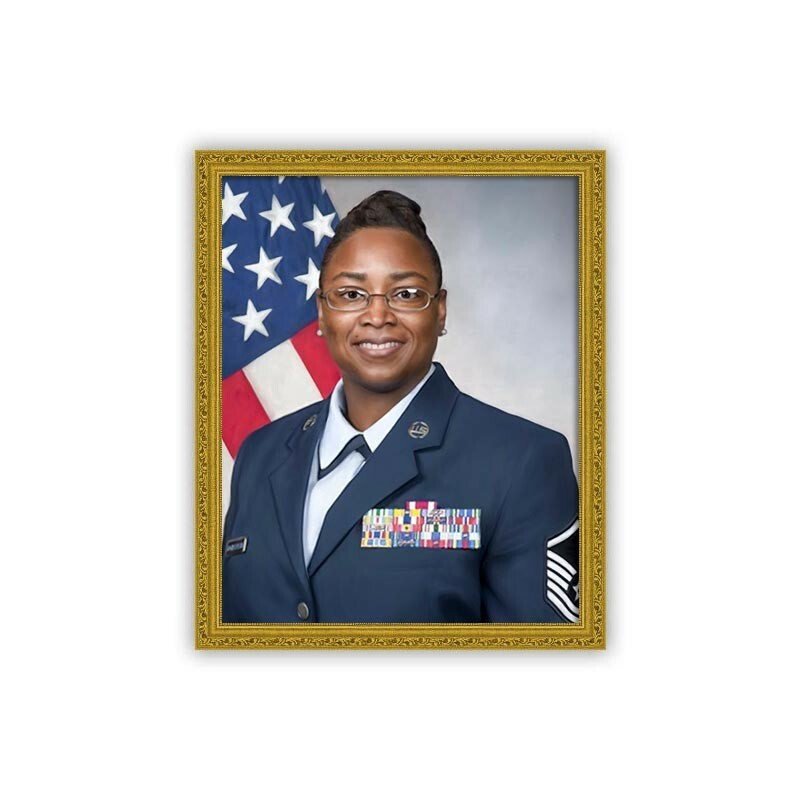 Pay tribute to the honorary women and men who bravely serve or have served in the armed forces with a custom military portrait painting gift. 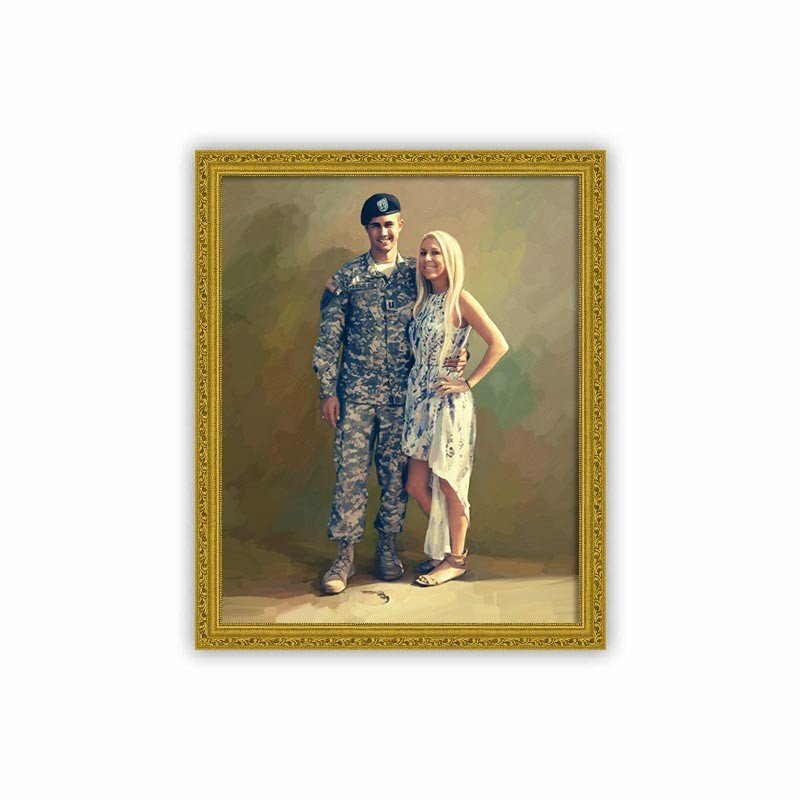 Our artists will lovingly create this special piece of art from your photo so it may remain in your family as a memento and tribute to the their bravery and service. Snappy Canvas will work with you to create a military painting from photo you can be proud of using fine art quality material and craftsmanship. 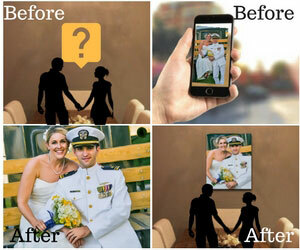 After placing your order with the e-proof option selected we’ll send a proof to your e-mail in 3-5 business days. 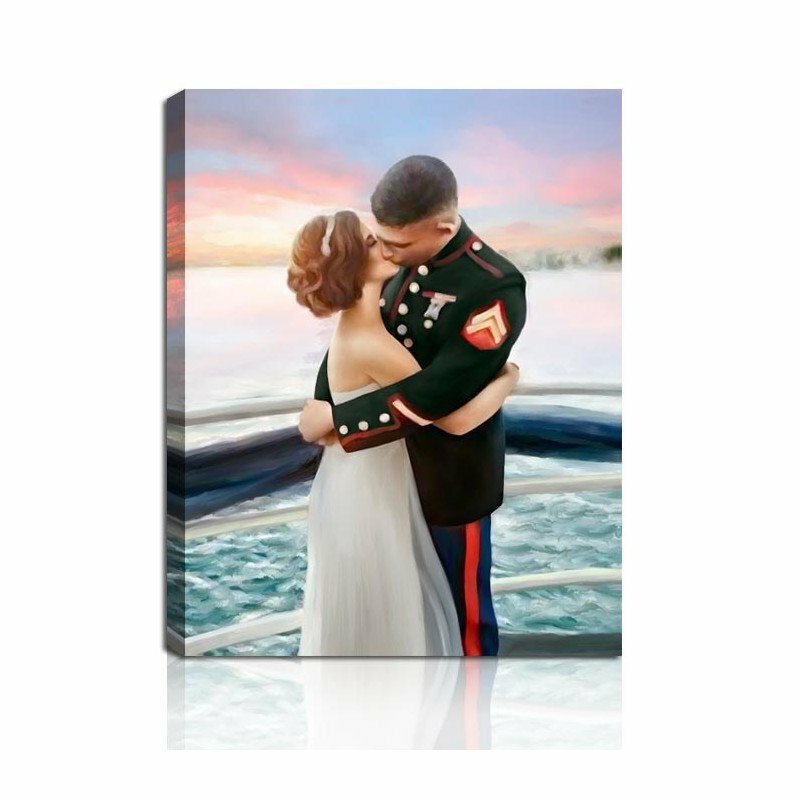 On reviewing the proof if there is anything that you need us to fine tune or that you would like adjusted please let us know, and we will send a revised proof. 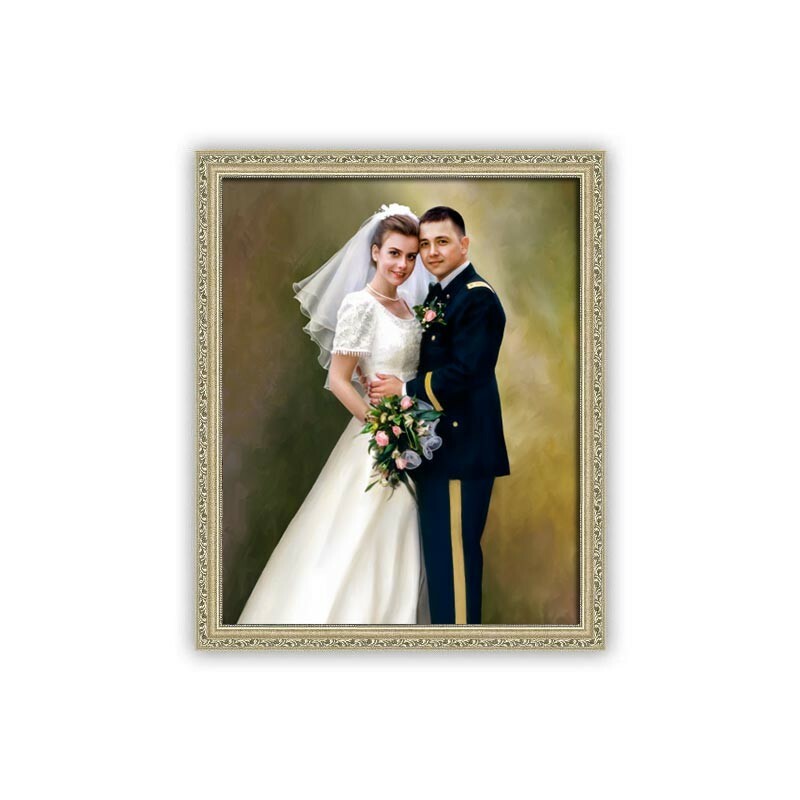 Once approved we ship in approximately 7-10 business days from the date of approval. 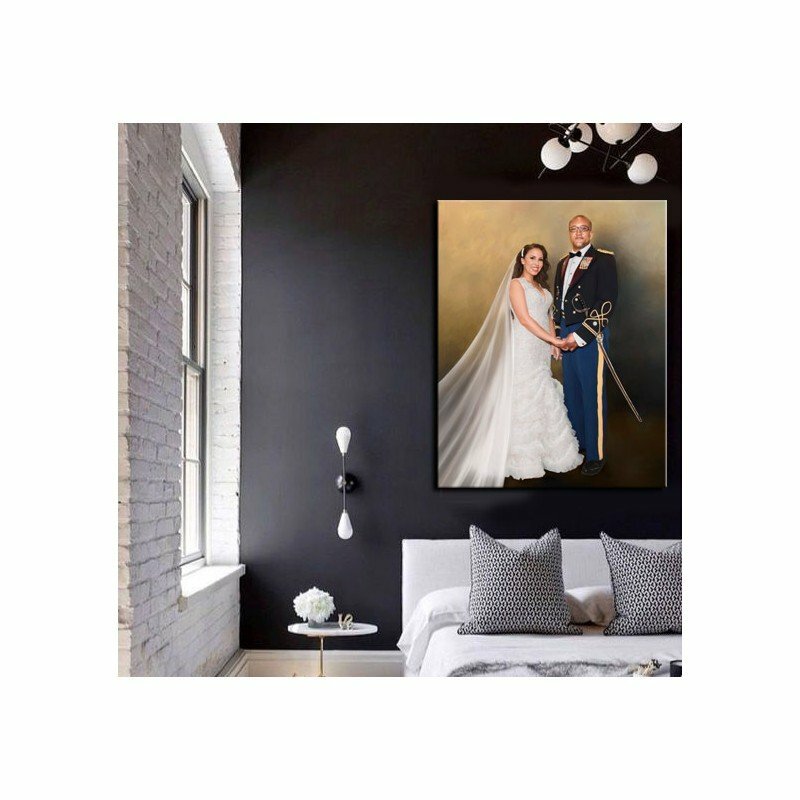 It’s our goal to create a military painting that you, your friends, and family will be able to look back in homage through years and generations to come. 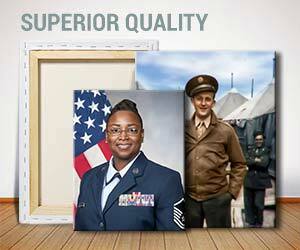 That’s why we only use real sustainable wood and archival quality canvas material. 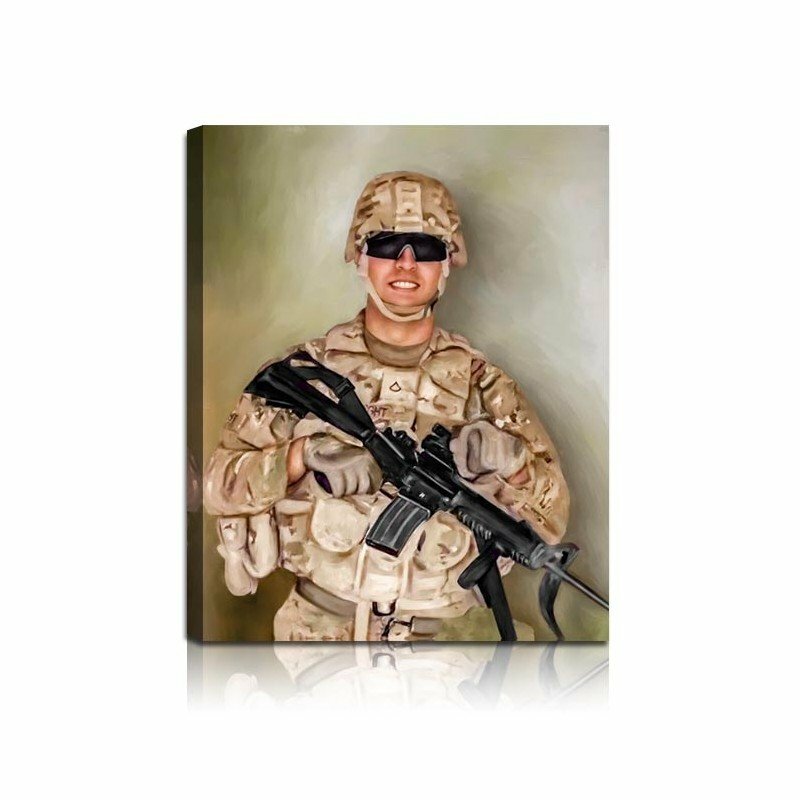 If you have any requests for your painting, like adding a names, birth dates etc, please don’t hesitate to ask us. 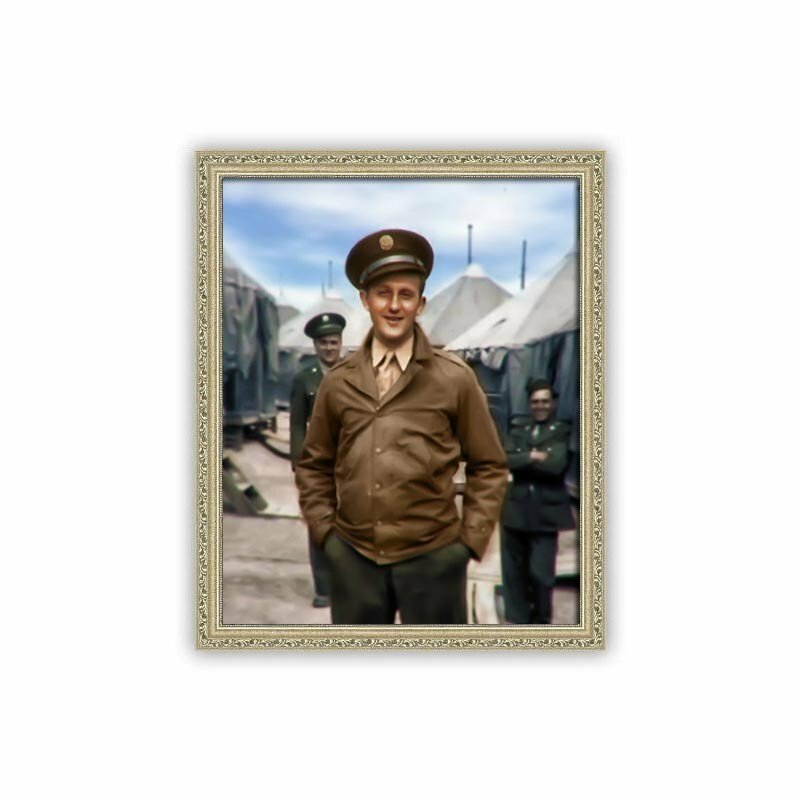 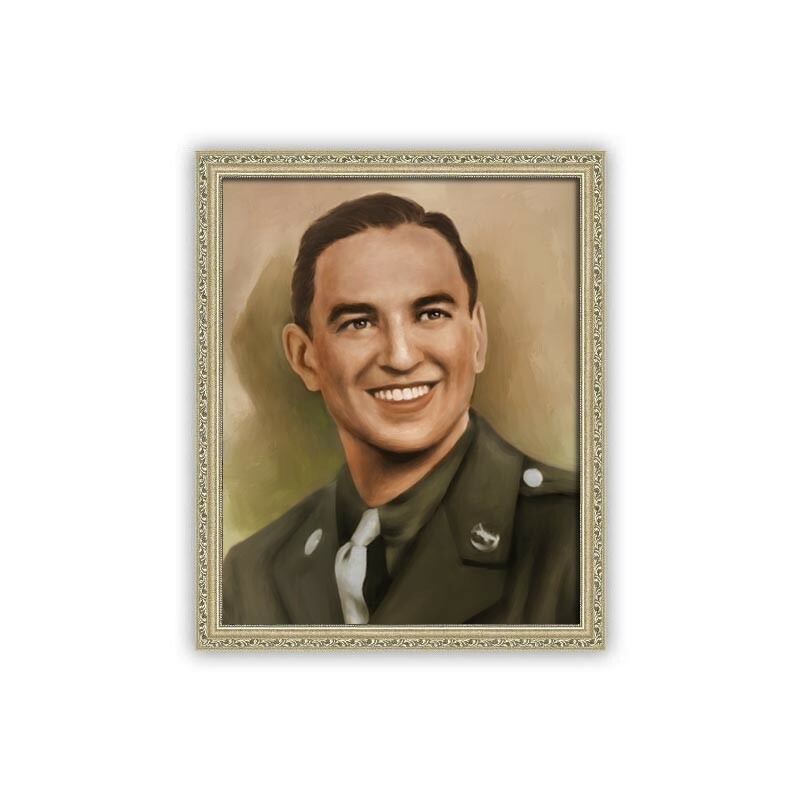 Our support is ready to help work with you in making your army, airforce, or other armed force photo to military painting to a distinguished and commemorative masterpiece.